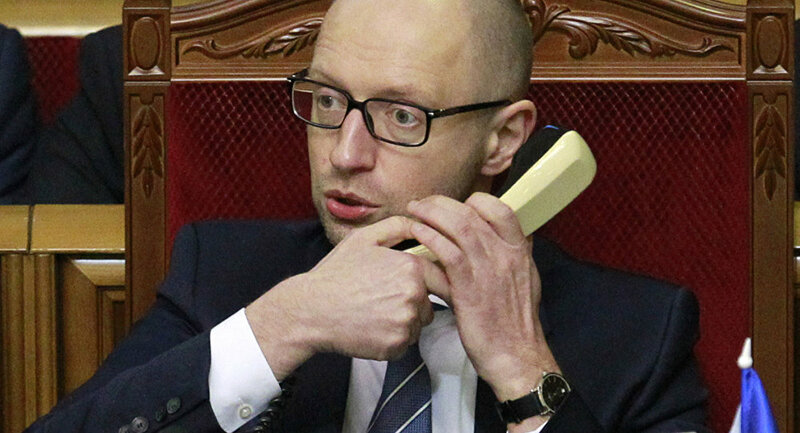 Ukrainian Prime Minister Arseniy Yatsenyuk has announced that he had resigned, local media reported Sunday. "I decided to resign from the post of Ukraine's prime minister. On Tuesday, April 12, the decision will be submitted to the Verkhovna Rada [Ukrainian parliament]", Yatsenyuk said as quoted by Ukrainian TV channels Sunday. Yatsenyuk said that destabilization in Ukraine is "inevitable," if a new government is not formed. "We cannot allow one thing [to happen] — the destabilization of the executive power during the war [in the southeastern region of Donbass]. This prospect is inevitable, if after the resignation, a new government is not formed." "Since now, I see my goals broader than the powers of the government head." He added that his party, the Popular Front, will remain to be a part of the coalition in the parliament. Earlier, Ukrainian Prime Minister Arseniy Yatsenyuk's government survived a no-confidence vote, which provoked various factions to leave the ruling parliamentary coalition. Recently, Ukrainian President Petro Poroshenko nominated Chairman of the Verkhovna Rada and his party fellow Volodymir Groisman for the new country's prime minister. The news about Groisman's candidacy came a few days after Ukrainian Finance Minister Natalia Yaresko announced her willingness to become Prime Minister herself and lead a "government of technocrats". In February, the Petro Poroshenko Bloc said it considered the work of the government in 2015 unsatisfactory, and supported the vote to dissolve the government. President Petro Poroshenko also called for resignation of Yatsenyuk, but the parliament failed to pass a no-confidence motion against the government. In February, Yatsenyuk described the ongoing political crisis in the country as "artificial" and urged the Ukrainians to continue on the course of reforms.